The transition from residency to private practice—the interview, the job offer, the Employment Agreement—is an incredibly exciting one. And when it comes to making the most of this crucial step in your career, you need a friend and an expert who can help you negotiate effectively with a thorough, professional, and affordable contract review. At Kelso Law, we're ready to become that friendly expert. We're proud to say we've made reviewing contracts for fellows and residents a specialty of our practice. Married to a physician himself, Jim Kelso has accompanied his wife through the challenges and triumphs of moving into the professional medical arena. Having spent the bulk of his career focused on the needs of healthcare providers, Jim has built his practice on the specialized knowledge and personal dedication required to protect and serve physicians throughout Texas. We know what it’s like, starting out. 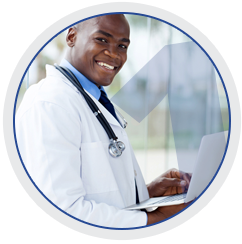 That’s why we offer residents and fellows discounted contract review packages designed to give you complete insight into the legal structure, validity, and applicability of the agreement, while helping you identify the risks and rewards specific to you. We keep your personal, professional, and payment information secure, and work hard to return your review in a timely manner—usually within four to five business days, but often in as few as two to three! Your first employment contract is one of the most significant moments in your professional life, and can continue to shape your practice and career for years to come. That’s why we also offer recommendations and contract negotiation services to help you get it right the first time. Board certified in Health Law by the Texas Board of Legal Specialization, Jim Kelso has spent nearly twenty years building a unique set of skills, knowledge, and professional relationships that give him profound insight into the needs of today’s healthcare professionals. Since our practice is built around employment contract review and other healthcare legal services, you’ll find we can provide you with in-depth and effective legal advice—backed by certification by the Texas State Bar—regardless of your specialization. 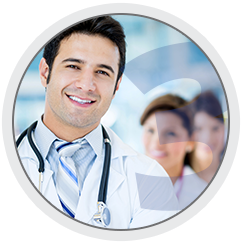 The first step to a successful medical career is investing in, and protecting, your future with a professional contract review. 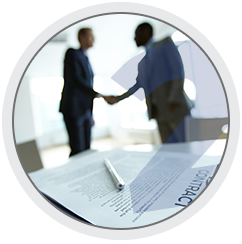 Get in touch with us today, and let us show you how our dedicated and experienced legal professionals can give you the negotiation edge you deserve at a price you can afford.